At BillyOh, we aim to provide wooden garden furniture which is perfectly suited to every garden. 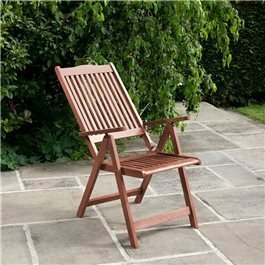 From wooden bistro sets to wooden dining sets, a seater bench to a garden sofa, we have all kinds of wooden garden furniture available which are both high-quality and long lasting. 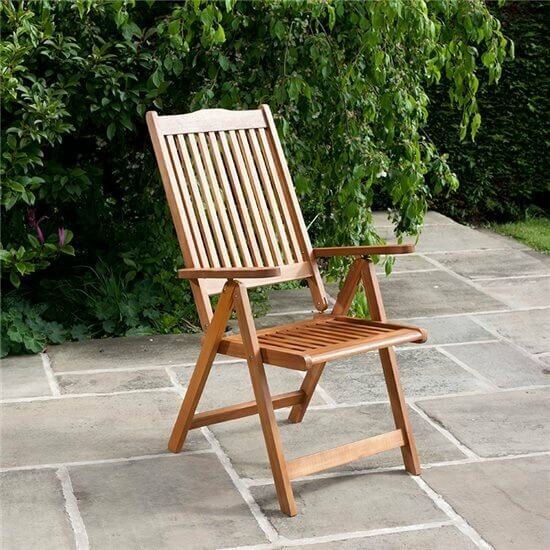 Therefore, if you're looking to own garden furniture which provides your garden with stylish seating, our large range of wooden garden furniture is bound to offer something you with love. 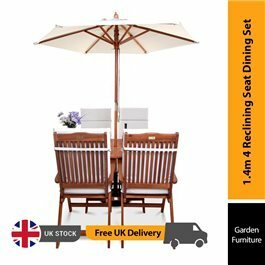 The wooden dining sets we supply, come in two seater sets or four seater sets, make dining alfresco a much more enjoyable experience. A wooden bistro set is perfect for a small garden, patio or balcony. 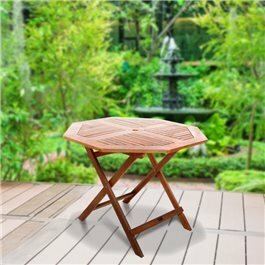 Our bistro sets are made from stunning acacia hardwood or eucalyptus hardwood, offering stylish, compact garden furniture which is easy to fold up and store away if not in use. Our four seater dining sets could be the ideal option for families. 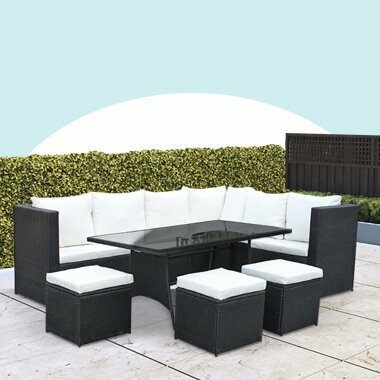 With great patio furniture, you can enjoy home cooked meals outdoors, while relaxing in comfort with your loved ones, surrounded by your garden fencing and all your various home accessories. Parasol options provides your wooden table set with cool shade during hot, summer days. 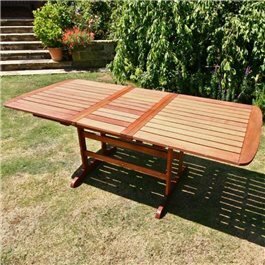 A number of our dining sets also come with a space for a parasol to be positioned in the centre of your wooden dining table. Our wooden sun loungers take relaxing outdoors to another level of comfort. Wheels are incorporated to make maneuvering the lounger as easy as possible. Constructed from durable hardwood, our reliable sun loungers provide you with the perfect seating to unwind. You can even add a cushion to your sun lounger for ultimate comfort. The sun loungers are available in a range of colours to suit your personal taste. 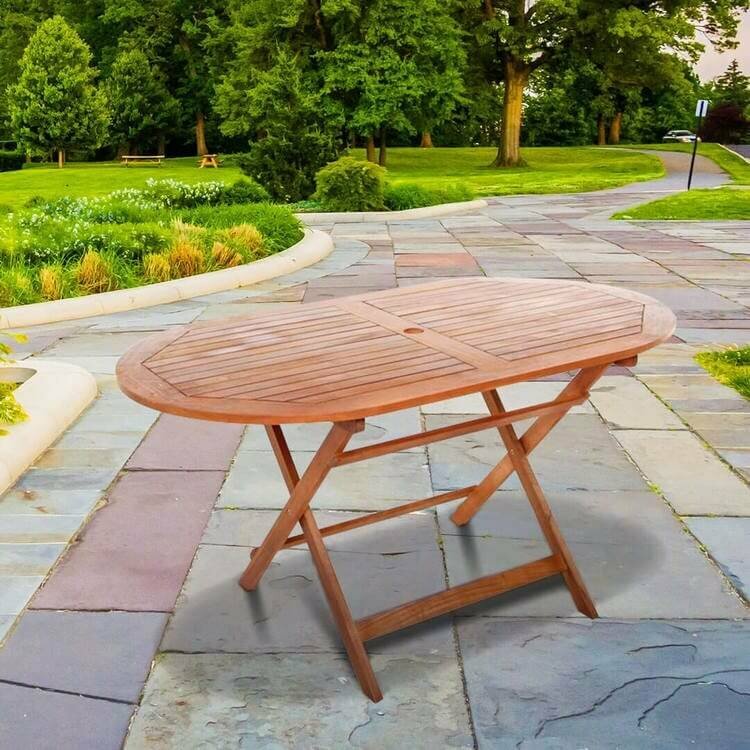 Whether you're looking for chunky wooden garden furniture or compact furniture, our variety of designs and styles guarantee you'll find the right wooden garden furniture for your garden. 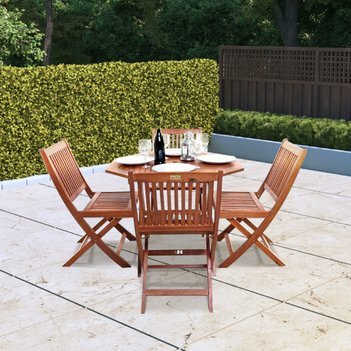 Our wooden garden furniture is designed to be durable, traditional and stylish. 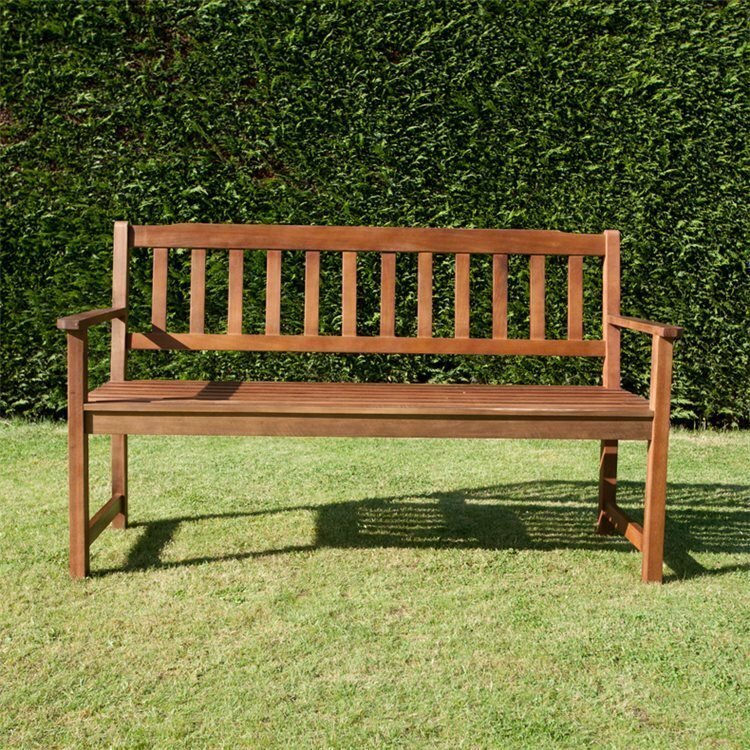 Explore our range of wooden garden benches and wooden chairs which offer solid garden furniture that looks great in every garden. Having a place to enjoy the stunning views of your home garden has never been easier.